Most of us take our immune systems for granted until we get sick and realize just how much we rely upon our bodies to protect us from illness and disease. In our go-go-go society, it can be very challenging to support your immune system as you should, especially if you don’t really understand it. These three surprising facts might change your views and encourage you to give your body some more TLC. The runny nose and congestion that come with a cold aren’t always negative. They are actually indications that your immune system is working! As soon as the rhinovirus invades your upper respiratory tract, your immune system generates chemicals called histamines that dilate your blood vessels and allow white blood cells to reach the infected tissue. This is very important, even if it causes unpleasant symptoms. You already know the importance of sleep for mood and concentration, but it turns out that sleep can also make the difference between an inefficient and thriving immune system. Failing to get enough sleep suppresses your immune system’s disease fighting abilities and leaves you vulnerable to a real illness. 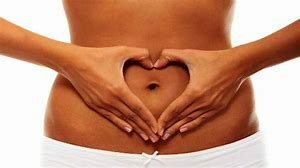 Bacteria is known for its negative connotation, but it turns out that your immune system heavily relies upon the good type of bacteria to stay balanced, support digestion, and synthesize vital vitamins and minerals. Probiotics and yogurt contain these healthy bacteria, so if you find yourself getting sick a great deal or feeling more tired than usual, a boost of healthy bacteria may just be what you need. To learn more about the most natural ways to improve your health, call (727) 351-8304 to make an appointment at Rubin Chiropractic Health Center in St. Petersburg, Florida. 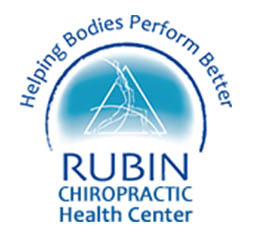 The team at Rubin Chiropractic offers everything from acupuncture to cold laser treatment to help you feel better than ever.